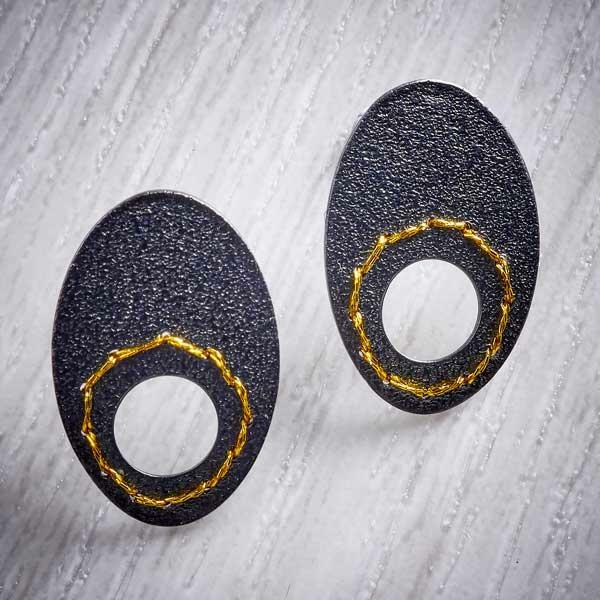 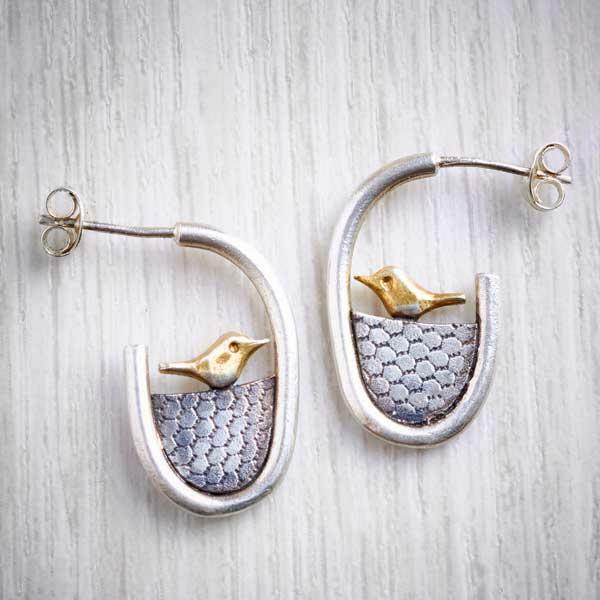 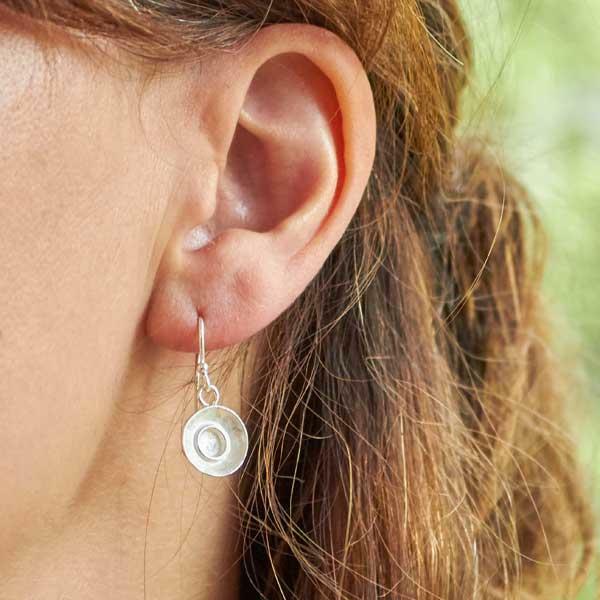 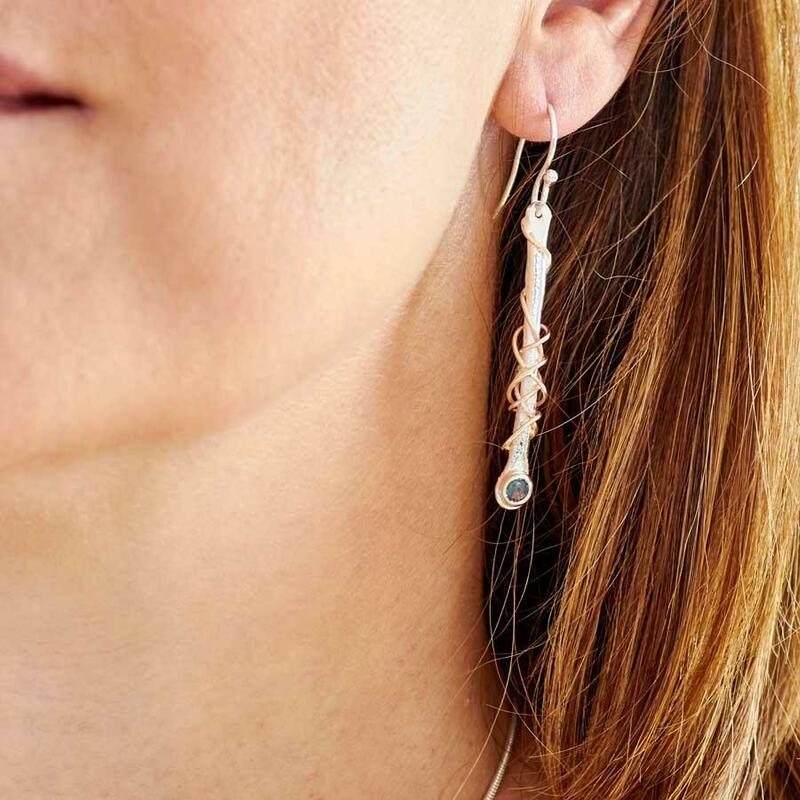 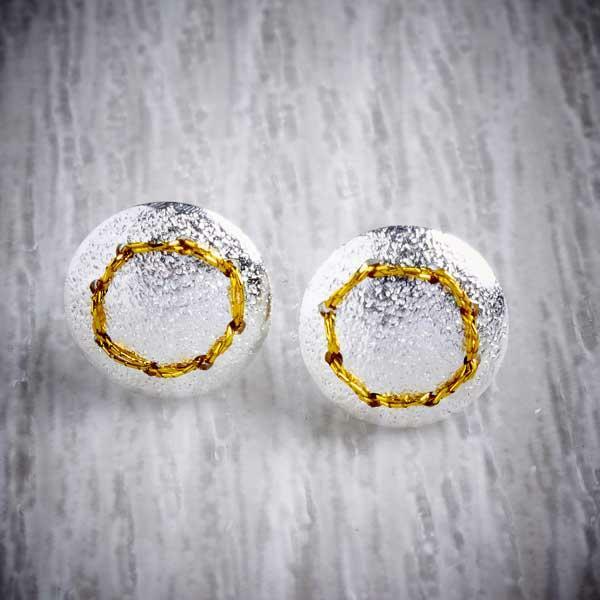 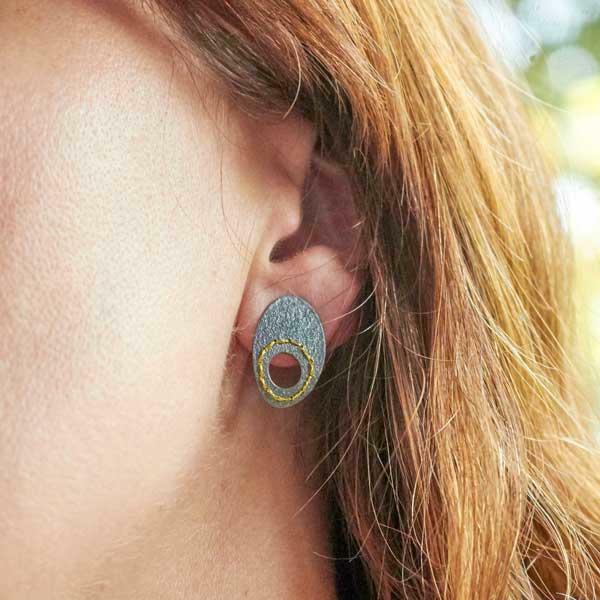 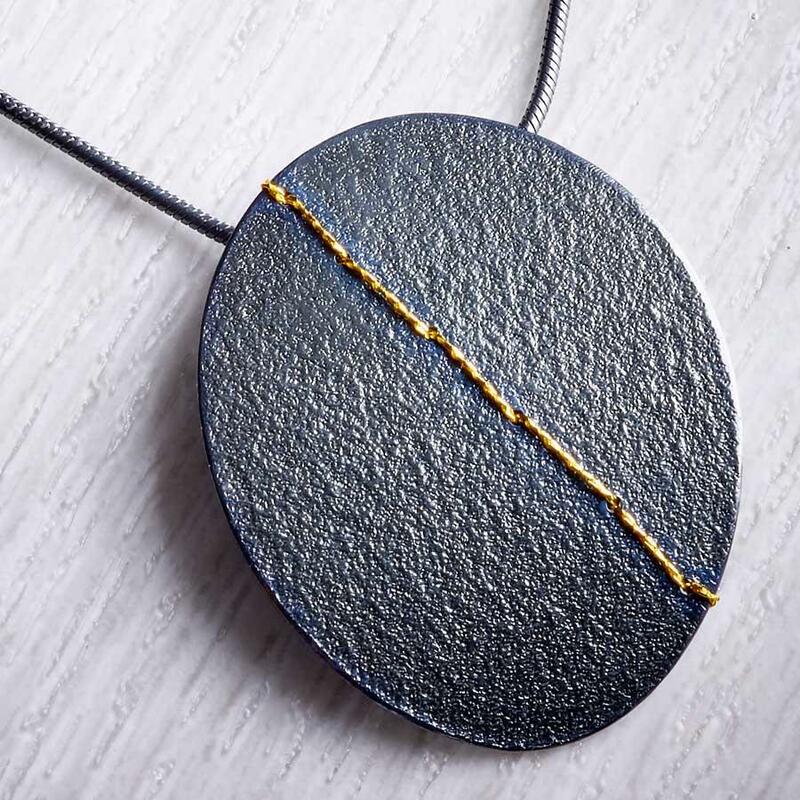 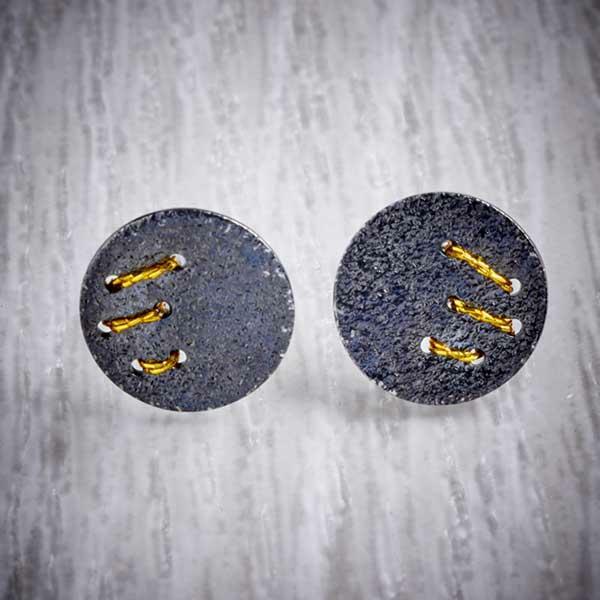 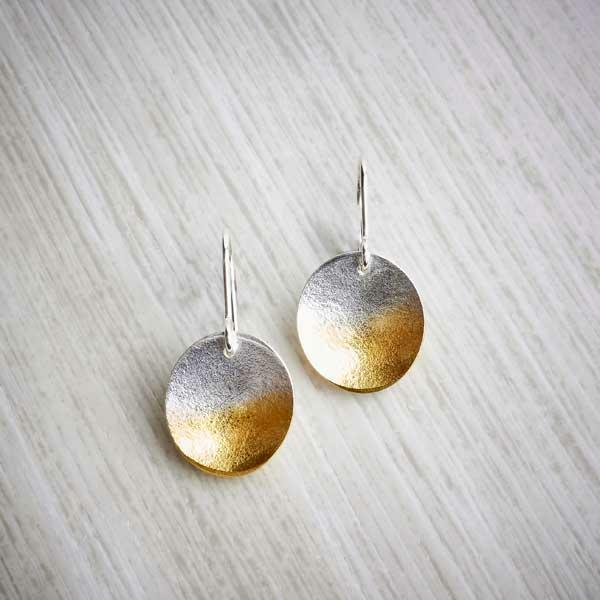 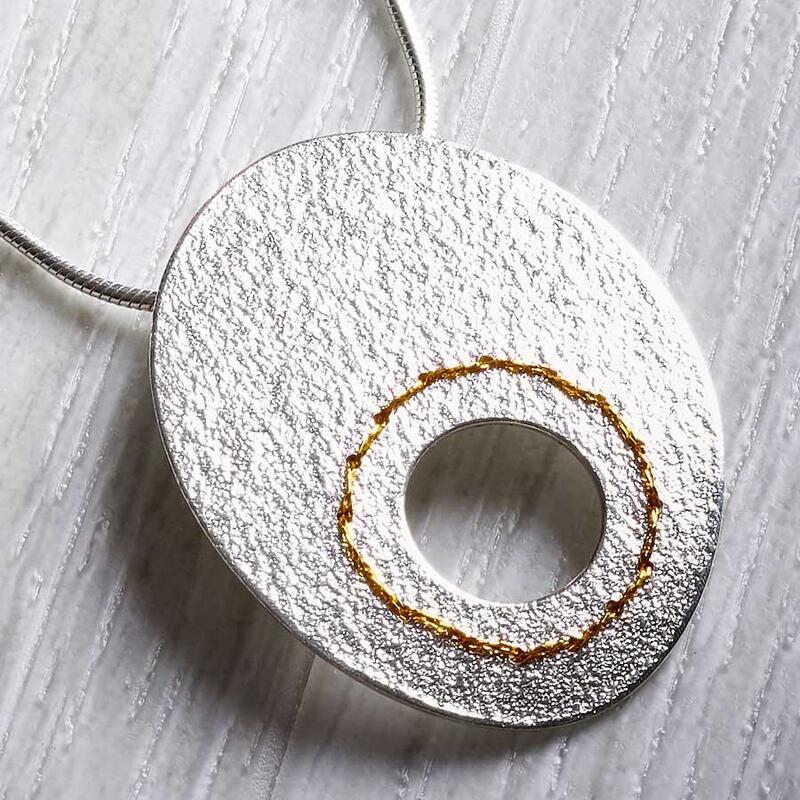 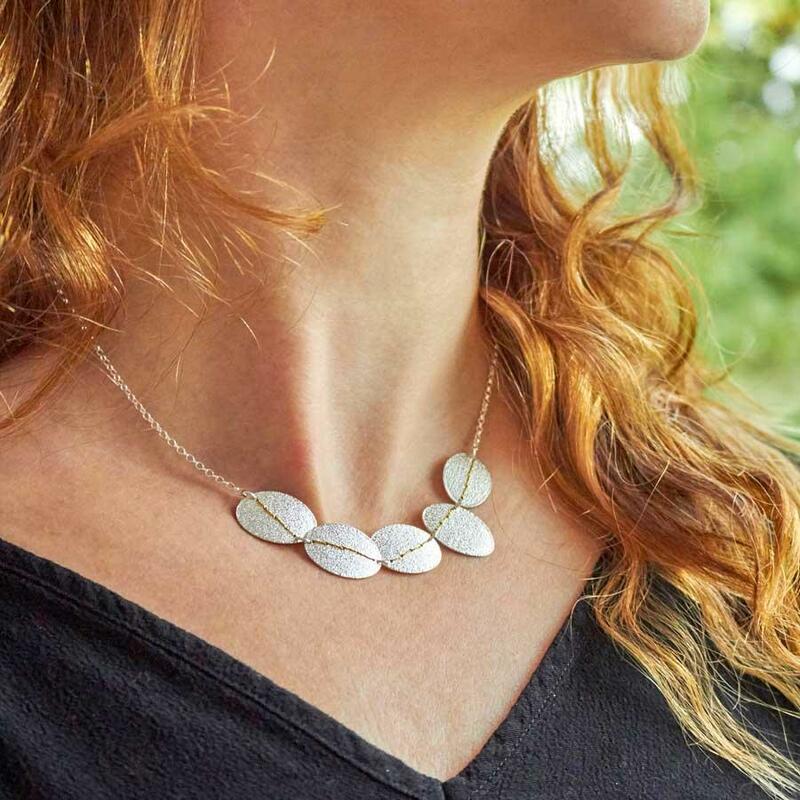 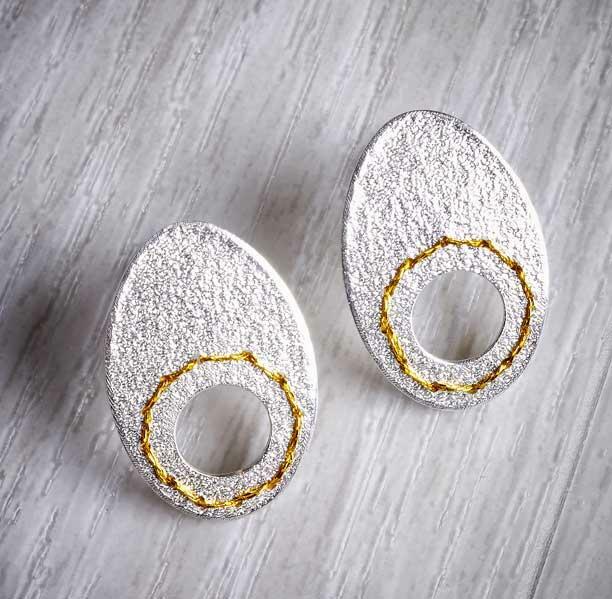 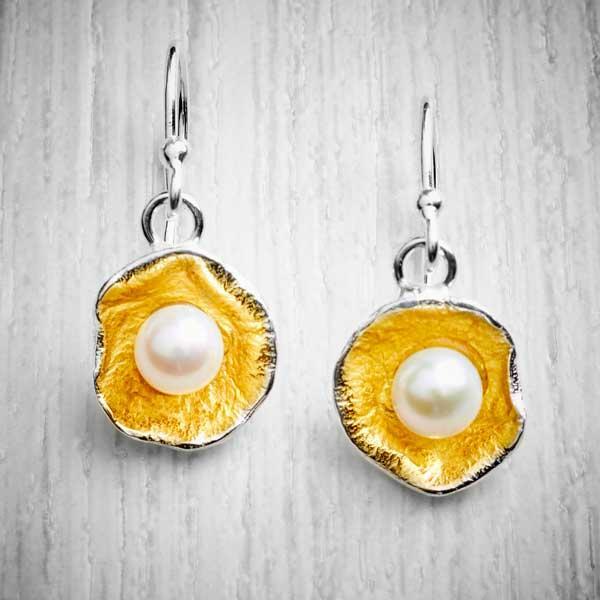 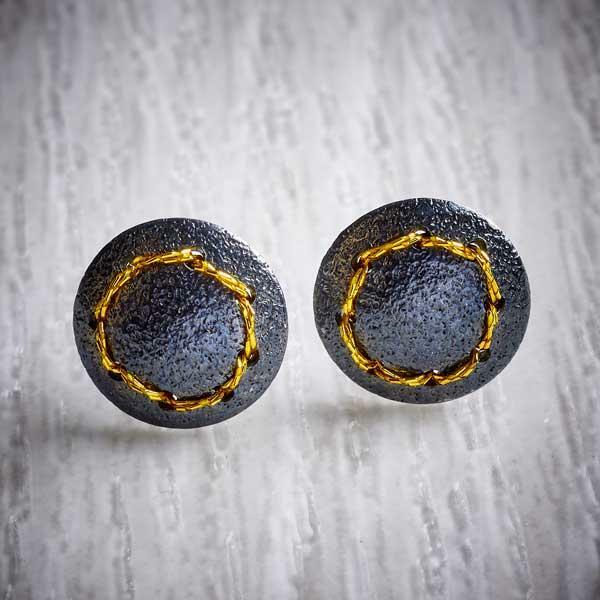 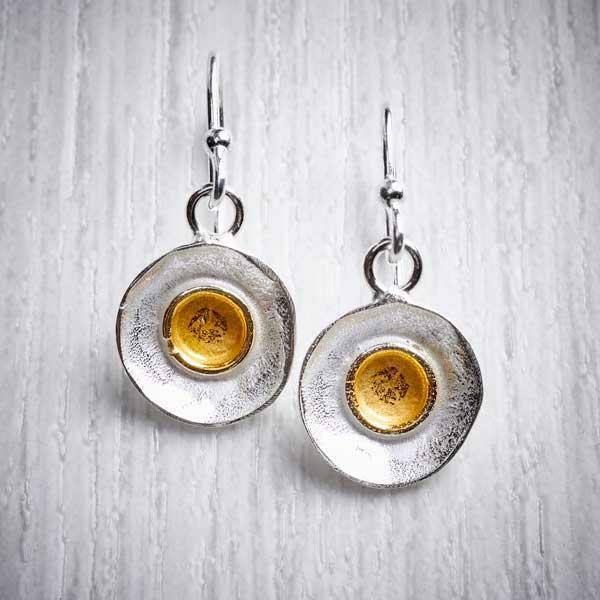 These sterling silver oval earrings have been treated to go black, gold thread sewn right through the silver creating a dramatic colour contrast. 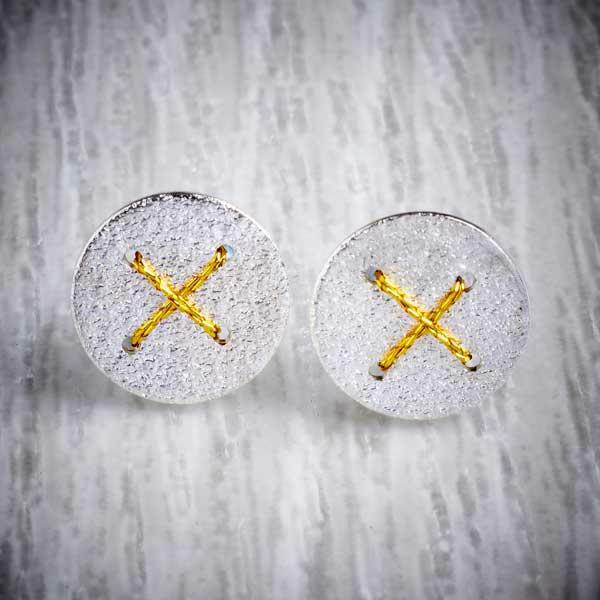 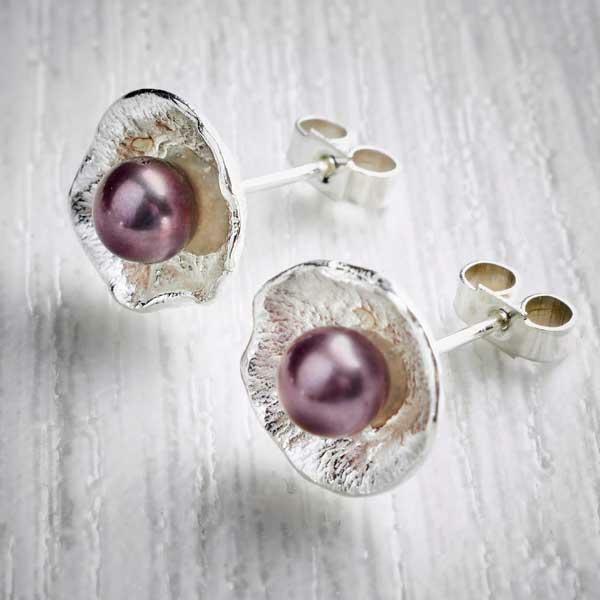 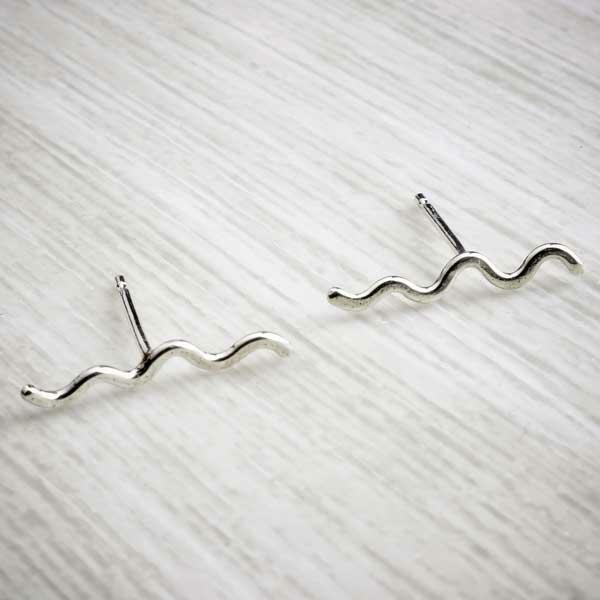 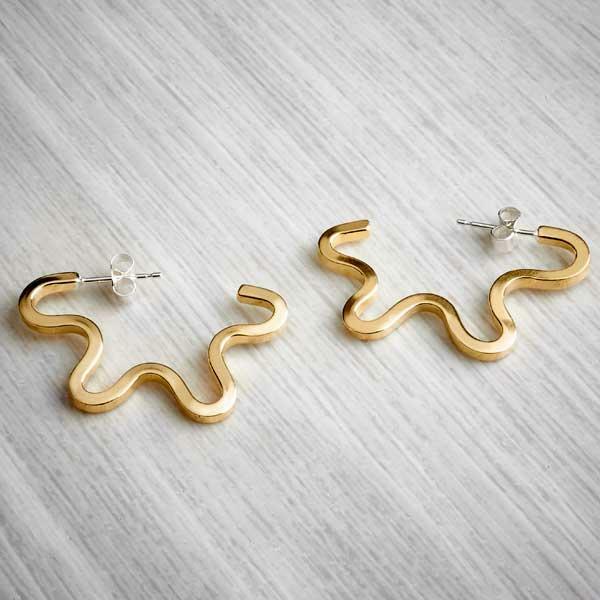 The earrings measure approx 19mm x 13mm. 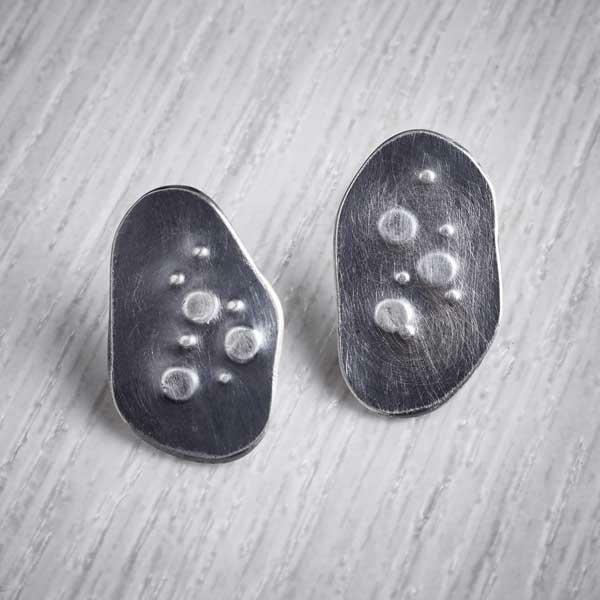 The earrings are handmade from 925 sterling silver sheet, which has been oxidised to make it go black.